Organized by the Peña El Puntillo and with the collaboration of the Youth Department of the City Council, on Thursday, the fifth Your Mask Sounds Familiar contest was held at the Palacio del Carnaval. The first prize in the children’s category, corresponded to the imitation of Shakira and Carlos Vives with the theme The Bicycle, the second for Alaska and Loquillo with the theme The rhythm of the garage and the third place, corresponded to Sweet California with the theme Good Life . All the winners, obtained a batch of school material valued at 50 euros, sponsored by MyPaper. The first prize in the individual adult category with 100 euros was for the imitation of Alaska and the second prize of 50 euros went to Amador Rivas with his Mandanga Style. 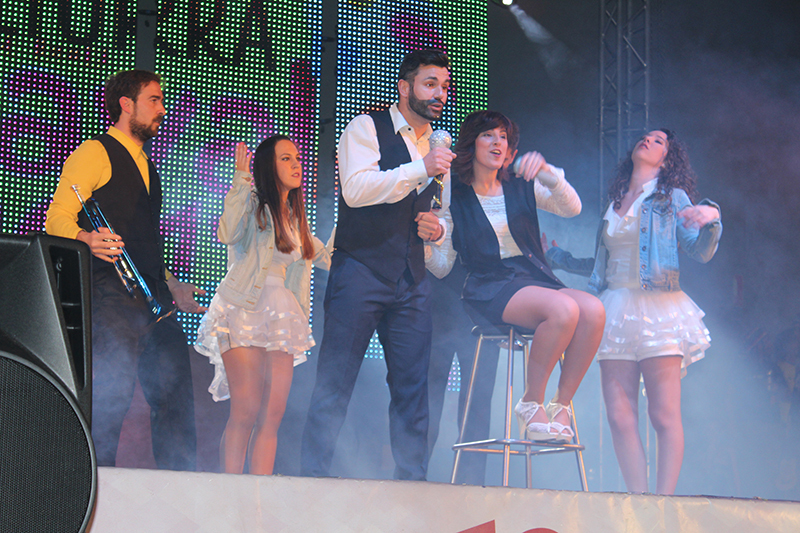 In the category of adults-groups, the imitation of Pimpinela achieved the first prize endowed with 100 euros and the triumphs of OT and its Europe’s living a celebration obtained the second prize endowed with 50 Euros. 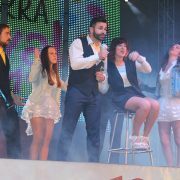 The prizes of the category of adults were sponsored by the City Council of Miguelturra. The awards ceremony was attended by the Mayor of Miguelturra, Victoria Sobrino, Councilman of Celebrations, Diego Rodriguez, King of Carnival, Serafin Delgado, representatives of the MyPaper and Pena El Puntillo stationery, Major Masks of 2016, José Muñoz and Mercedes Rivas, and Major Masks of 2017, José Cañizares and Antonia Nieto.